Petal Point Campground is located on the far North-East of Tasmania near Cape Portland, in the Boobyalla Conservation Area, being a remote and windswept coastal area that is subject on a regular basis to wild weather. This spectacular part of Tasmania takes a little getting to, but is worth the effort if you enjoy peace, solitude and don't mind some tough weather. There are no charges, no bookings and limited facilities - all camping is on a first-come, first served basis and call camping must be in the clearly designated camping areas. 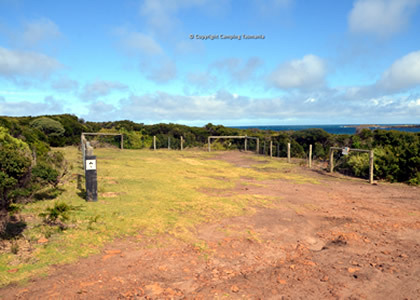 To access, drive on the Cape Portland Rd (C844), some 20 km north of the small town of Gladstone, and then turn left to the signposted Petal Point. To camp in this area, you will need to be completely self-sufficient for food and water; a gas/fuel stove is recommended. There are no dump sites in the reserve, and no rubbish collection. Camping in the nearby Mt William National Park is only permitted at the 6 designated campgrounds in this Park - Deep Creek campground near Eddystone Pt Lighthouse is the only one located in the southern end of the park whilst the northern end of the park has 5 campgrounds. These are Top Camp and Stumpys Number I, 2, 3 and 4. 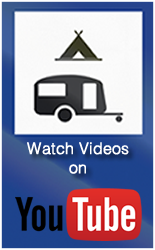 Small to medium sized caravans and motorhomes can be accommodated in all campgrounds except Stumpys number 2 which is suitable for tent camping only.